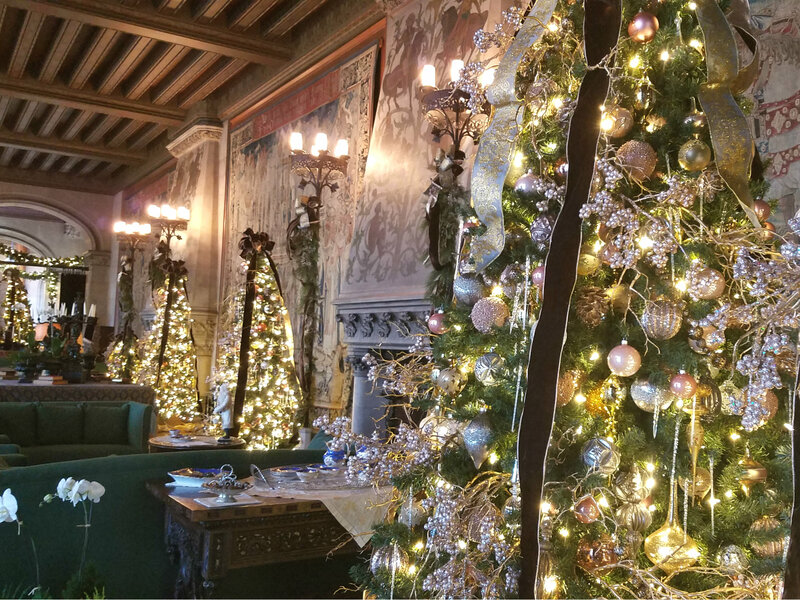 The 2018 Christmas at Biltmore celebration began on November 1, with the raising of a 35-ft live Fraser fir tree in the Banquet Hall of Biltmore House. 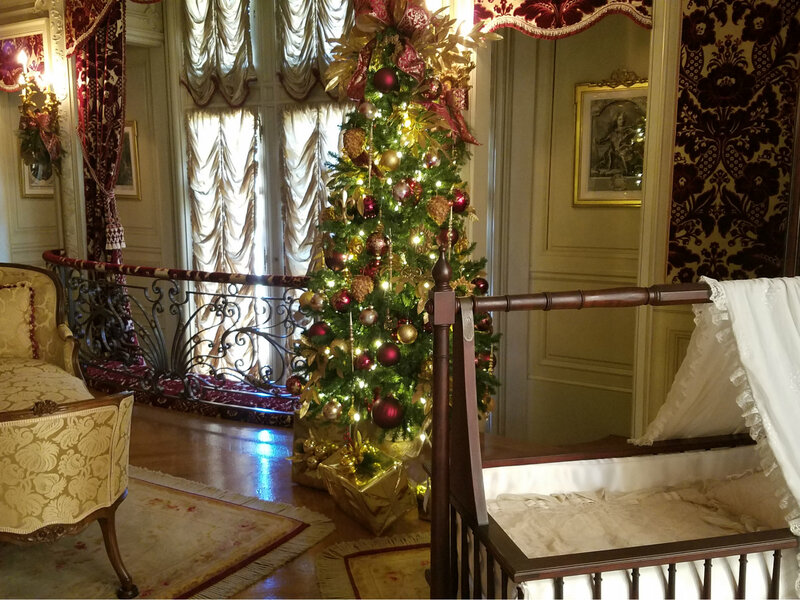 In addition to the live tree, which has been expertly decorated with ornaments and lights, there are an additional 50+ decorated Christmas trees, miles of garland and thousands of twinkling lights along with other holiday décor inside Biltmore House and other decorations all around the 8,000-acre estate, from Antler Hill Village & Winery to the Conservatory near Biltmore’s Walled Garden. 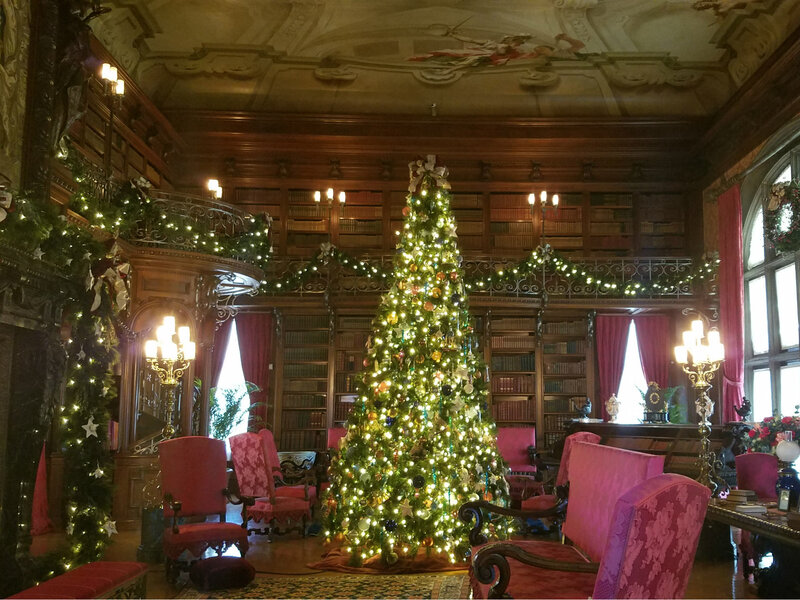 The Library in Biltmore House… our favorite room! 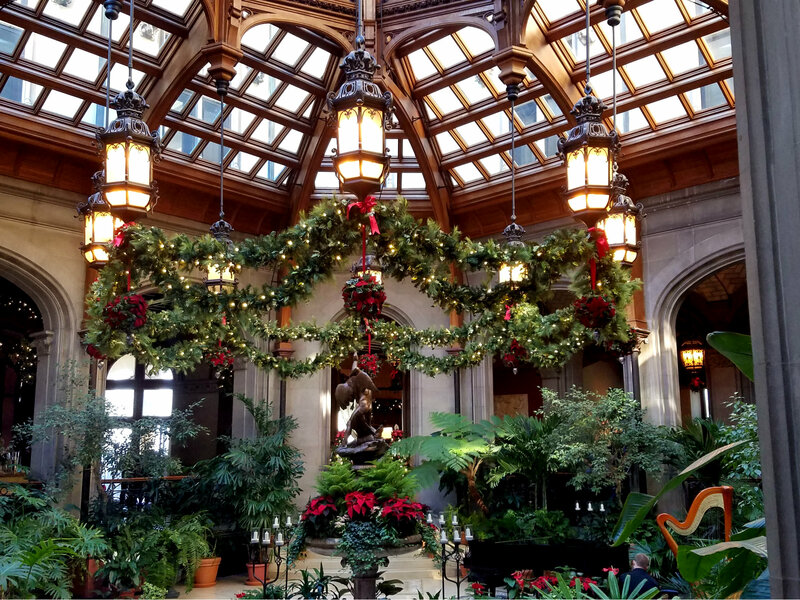 When reserving your stay direct at the Inn on Mill Creek B&B, you can add Biltmore daytime admission tickets at a discounted rate that are also good for the following day for FREE, so you can get as much out of your Biltmore visit as you want. Don’t forget, you’ll want to sample their special Christmas wine, maybe pick up a gift or two for loved ones from one of the various shops on the estate (our new favorite is the Barn Door in the farm section of Antler Hill Village & Winery), and eat locally-sourced food at one of Biltmore’s dining destinations. Our top choices are Cedric’s Tavern and the Creamery, which has not only ice cream – and who cares if it’s cold outside, the Creamery has an enclosed heated patio!! – but they also have yummy sandwiches as well. 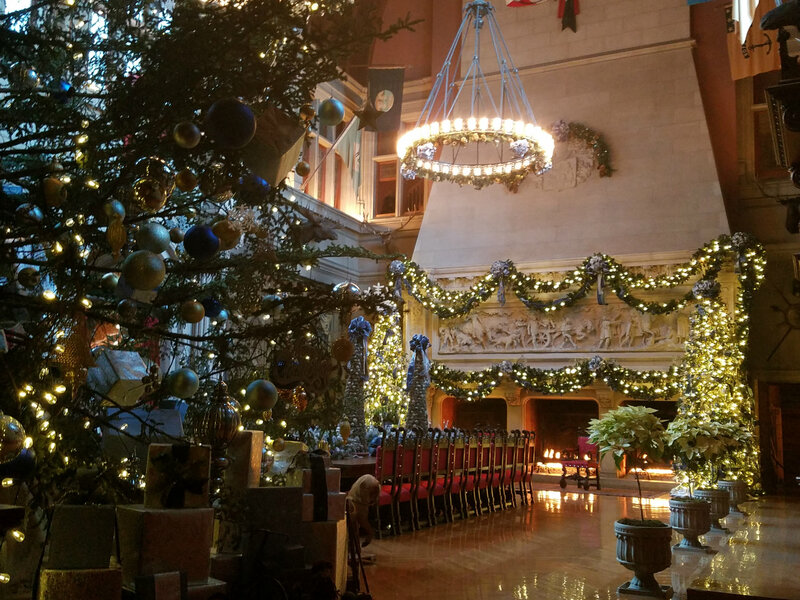 Biltmore also offers an evening experience called Candlelight Christmas Evenings, which includes a self-guided tour of Biltmore House with crackling fires lit in the many fireplaces, romantic lighting in the rooms, and live music. Imagine being a Vanderbilt guest having dinner in the seven-story Banquet Hall, kept warm and cozy with its three huge fireplaces! 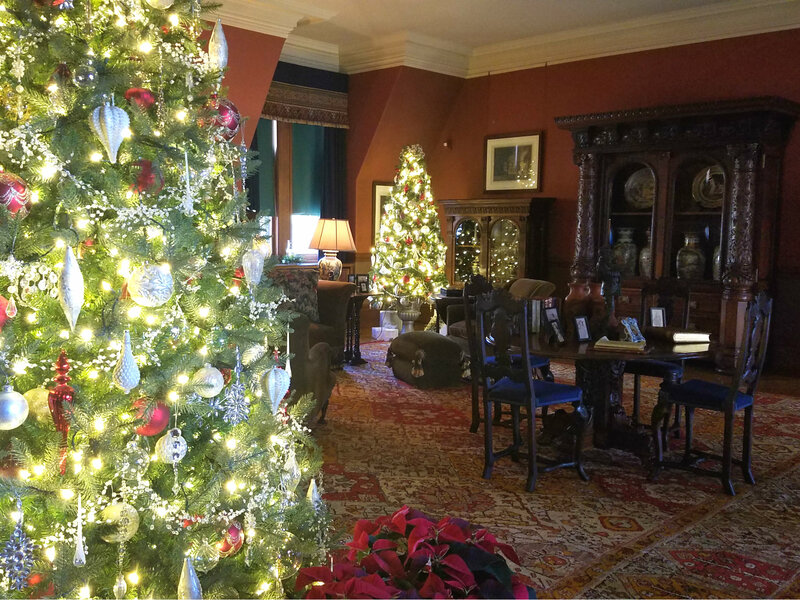 You can upgrade your daytime ticket to add a Candlelight Christmas Evenings ticket on one of the days you visit the estate – we have a special phone number for guests to get their upgraded tickets so just let us know when you book if you would like to do so. 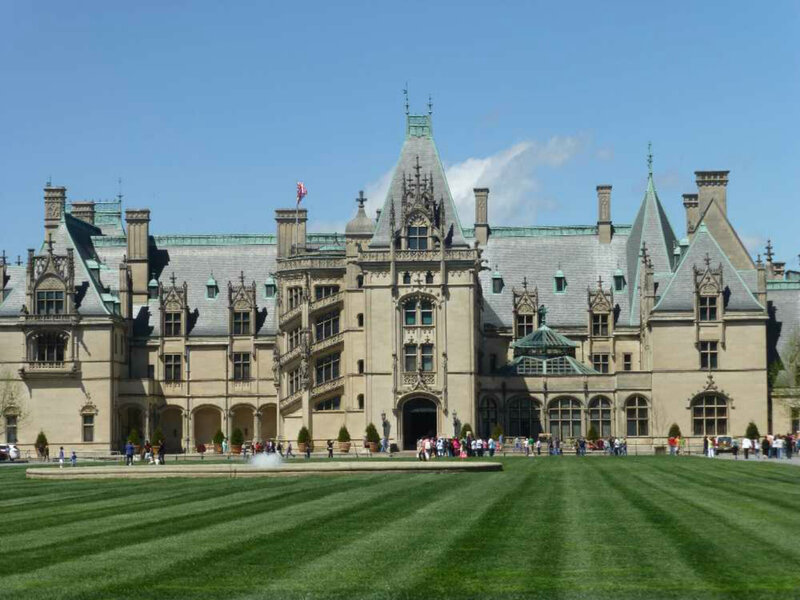 If you will be staying with us at the Inn on Mill Creek, let Innkeeper Brigette know if you have any questions about Biltmore when planning your trip to the Asheville area! This entry was posted in Asheville Festivals and Events, B&B Specials, Biltmore and tagged Biltmore, Christmas, festivals and special events by Inn on Mill Creek. Bookmark the permalink.